Welcome to The Art of Wellness Collection and home of our Celestial Musings Blog, where I share information on various subjects that I muse about! And also care about deeply. My husband Nazim and I, call our conscious commerce ventures that we pay forward together, The Art of Wellness Collection. This group of enterprises is the umbrella that shelters what we believe to be the most exciting products and technologies available today for our bodies, minds and spirits, such as Prime My Body Hemp Oil, MOXXOR Omega 3, our European Medical device, where we are actively working as Independent Distributors. The Art of Wellness Collection includes my husbands and my art ventures, as well. Hence the name, The Art of Wellness Collection! We will share here not only information about Nazim’s fine art but also our latest venture into the world of Wearable Art and home decor, where we, working together to transform his paintings and some of our photographic work into a line of Tops, Scarves and Kimono Style Sheer Wraps and jewelry derived from Nazim’s original paintings, including some which are an homage to some of roles in my career as an actress. This collection features some of our favorites such as Star Trek. Here is an example of one of Nazim’s original paintings entitled Celestial Trek and you can see in the image below that the painting has been translated to on a Kimono style sheer wrap, and 100% Modal (vegan silk) long scarf. These items are included in our Wearable Art collection for VIDA and you can see me wearing these two items at the Star Trek 2017 convention in Las Vegas where I was one of the Star Trek Guest Stars. The image above is the original Celestial Trek painting that I used to create one of our Wearable Art collections for VIDA. My husband Nazim M. Nazim, as you can see is a wonderfully creative and talented contemporary artist from London, he is also known as Nazim Artist, professionally. I am also a Mother, a Grandmother, an actress, as you may have gathered from the images above, I was a Star Trek Guest Star, an Elvis film co-star, (see my personal website) and I am currently a writer/ blogger, (here on Word Press you will find Celestial Musings, Ancient Alien Goddesses, The Art of Wellness Collection, and the Live Long and Prosper blogs). I am also the author of 5 books. The Complete Guide to Holistic Cat Care, (image below) is a Muse Medallion Award Winning book which I co-authored with Jean Hofve, DVM. Paleo Dog is our newest book and it is a complete holistic lifestyle book for dogs. It is published by Rodale Press. 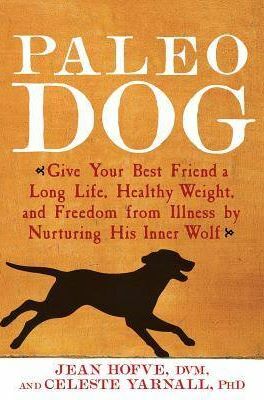 Paleo Dog shares valuable information on how to nurture and nourish your dogs inner wolf which I also co-author with Jean Hofve, DVM . It’s available where ever fine books are sold You can find a sampling of our reviews at our Paleo Dog Book website. “We have four Doberman Pinchers at home and before we started them on the Paleo diet, there were all kinds of problems with skin breakouts and allergic reactions. Since the time we changed their diet, none of those things occur. That’s why I think this is a very important book for all dog owners.” – William Shatner, actor, musician, singer, author, film director, spokesman and comedian. 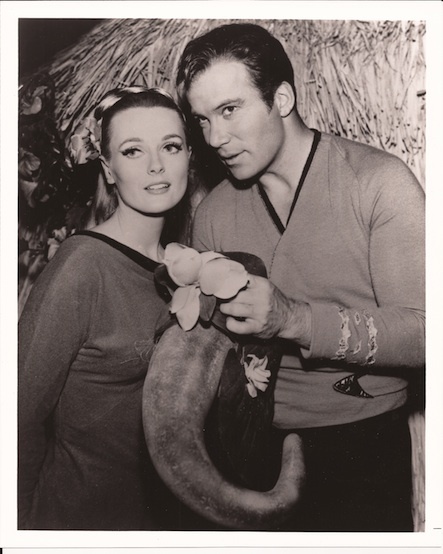 Photo of Celeste Yarnall and William Shatner, TOS Star Trek, episode entitled, The Apple. 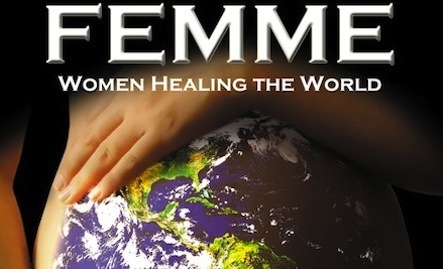 Nazim has 7 of his paintings in Femme and also created this beautiful painting as an homage to the concept of Femme Women Healing the World which you see below. Nazim and I have also recently been involved with fund raising for a new comedy/spoof feature film project entitled UNBELIEVABLE!!!! The film features 40 Star Trek actors including my self. We expect UNBELIEVABLE!!!!! to be released in 2016 which just happens to mark the 50th anniversary of Star Trek. In the photo above I am holding the star of UNBELIEVABLE!!!! You will have to see the film to believe it! Nazim and I love to cook and shop organically and support our local farmers. In fact we support all aspects of ‘Conscious Commerce.’ In that spirit we are both proud MOXXOR distributors through our web portal at http://www.MoxxArt.com. I serve on MOXXOR’s Holistic Advisory Board because I believe MOXXOR is the finest Omega 3 anti-inflammatory/antioxidant supplement on the planet, appropriate for both people and pets! We also support Prime My Body nano-enhanced CBD oil and distribute these evidence based, state of the art products. We are honored to include them in our Art of Wellness Collection. PrimeMyBody utilizes a unique liposomal delivery system, which dramatically improves the bioavailability of the oil. Our product is a Dietary Supplement and contains industrial hemp extract derived from the stalks and stems of the hemp plant, which delivers healthful benefits, without the psychoactive or “high” effect associated with this type of botanical. It is 100% Hemp Extract. PrimeMyBody utilizes a unique liposomal delivery system, which dramatically improves bioavailability of the oil. Our product is a Dietary Supplement and contains industrial hemp extract derived from the stalks and stems of the hemp plant, which delivers healthful benefits, without the psychoactive or “high” effect associated with this type of botanical. We are so excited to share all of the wonderful modalities/technologies from The Art of Wellness Collection with you! We have transformed our home in Southern California into our ‘Celestial Gallery,’ where we exhibit Nazim’s art, rotationally and share it by appointment only. Here at our home, our clients can visit and experience the beauty of Nazim’s art first hand. Our Celestial Gallery, features Nazim’s paintings which are glazed with his special, proprietary, all natural compound that Nazim that helps clean the air of impurities and odors. Healthy air anions are emitted from the glaze on Nazim’s paintings into the ambient environment and we find it gives our guests a profound feeling of well being. 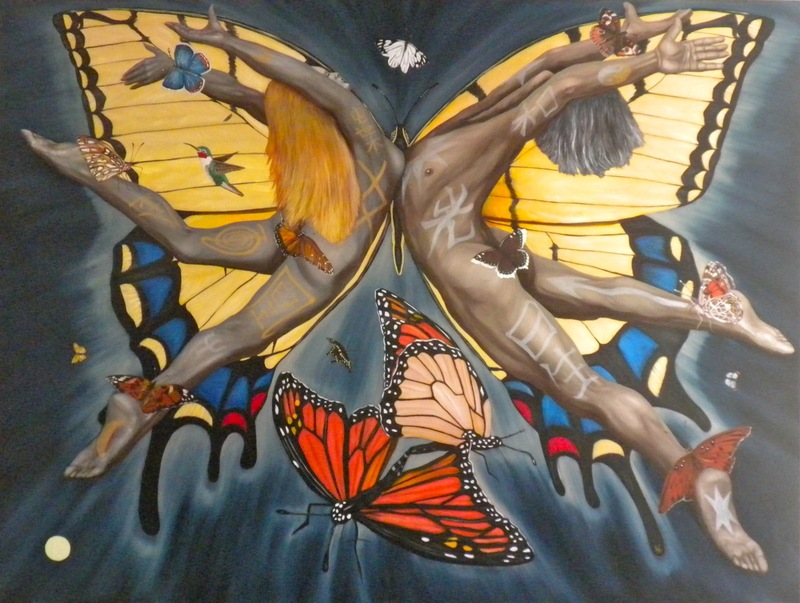 Below is one of Nazim Artist’s paintings…. All of Nazim’s art can be reproduced on stretched canvas, hand embellished, signed by Nazim and then glazed with The Art of Wellness Collection holistic glaze. We also have digital matted prints available on many of the paintings. If you would like to become a Patron of Nazim Artist please see Nazim’s personal Patreon site. Nazim is also available for commissions and mural work, which can include the glaze, as well. Be sure to check out our Wearable Art and Home Decor custom made scarves, tops and kimono style wraps, throw pillows, jewelry, hand bags/totes/ yoga/capri pants and much more which can be can be viewed and purchased at our on line boutique. There are approximately 100 limited edition pieces in this line, so please stop by and check out our beautiful designs. Both Nazim and I have VIDA webshops for you to peruse. Some of the items in the Monarch Cloudburst Grouping for VIDA are seen below. And below you will see Nazim Artist (c) original oil on canvas, entitled Ulysses Cloudburst that we used for these Wearables and home decor. 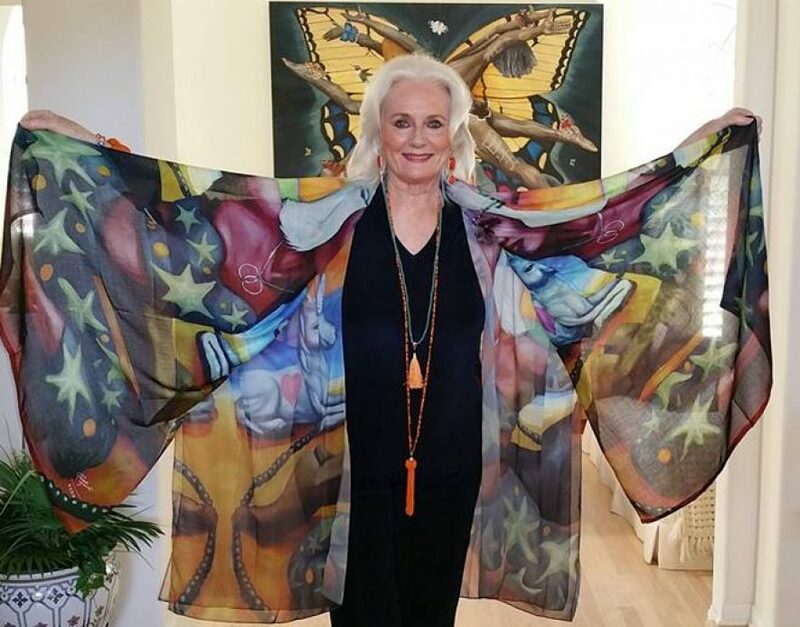 I have also as mentioned above, created a line called Celeste Yarnall Wearable Art where I use Nazim’s painting and some of our photographic art for my wearable art and home decor. I invite you to peruse this line as well. 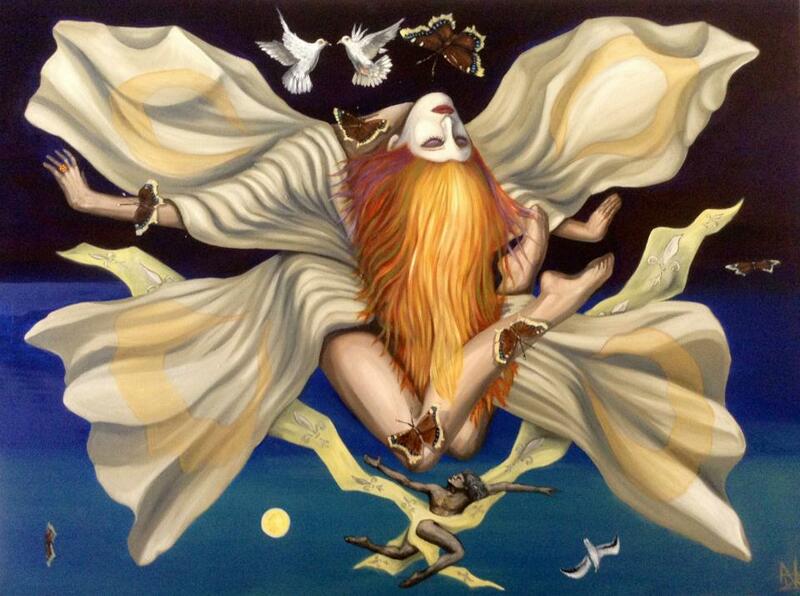 I have translated the painting below to scarves, tops, tee’s, tote bags, and sheer wraps. This painting below is an homage to my cancer immunotherapy at PerseusPCI in Grand Cayman. Nazim’s and my mission is to be of value through The Art of Wellness Collection’s modalities, technologies, products and fine art, be it through the medium of paintings wearable works of art or film! I am grateful to be able to share all these things with you as I was diagnosed November of 2014 with Stage 3 Ovarian peritoneal Cancer. I have done the standard of care with surgeries and chemo however we stored the tumor tissue from my surgery which enabled me to do personalized medicine, which is a series of vaccines made only from my bodies own biological materials. I hope you enjoy our site and blog! In the spirit of love and light, Nazim and I WELCOME you to The Art of Wellness Collection. Like what you’ve read here? Please tell your friends and come join us on Facebook at The Art of Wellness collection and at my Celestial Musings , as well as MOXXOR = The Art of Wellness, and at this link for my Prime My Body Nanoenhanced hemp Oil product and lifestyle fb.me/CBDPrimeMyBodyTheArtofWellness Facebook pages. I Love this new blog page and your introduction. I admire all that you have done, are doing now and will do in the future. You bring incredible value to all the people’s lives when you share your experiences, knowledge, art and love with them. Keep shining your light out into the world and those that need guidance will find your light. I am so grateful to have you both in my life. Thank you! We love you, too and thank you for being both Nazim’s and my dear friend and colleague! 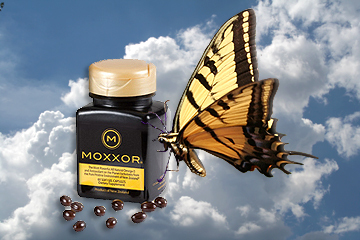 We can’t thank you enough for sharing Moxxor with us which gave wings to the creation of our MoxxArt.com website and The Art of Wellness! I SEE THE EPISODE – GIANTS EARTH, TODAY …OH MY GOD, YOU ARE BEAUTIFULL!!!!!!!!!!!!!!! !CONGRATULATIONS, GOD BLESS YOU. So glad to find more friends creating sacred space! An energetic high-five (and a hug) coming to you! Yes! love your blog! and you are so pretty…. Glad to have known you here on wordpress. Thank you so much! Hope you will check out some of the things I share such as the amazing Moxxor at http://www.MoxxArt.com where I do a little video presentation…we all take it here at the Celestial household..people and pets! You most certainly have a lovely website here and I can see that you are very passionate about your products and services. Thank you for coming to my Celestial Musings Blog, Barbara. I share lot’s of healthful things to explore here at my blog. I hope you enjoy it. I went to John Marshall High School in Los Angeles so it wouldn’t have been me in Van Nuys but if it was at Marshall High it was me! thank you for the kind words. Have been battling ovarian peritoneal cancer for the last 3 years and sharing lots of things to help us all Live long and prosper and also on my other blog The art of wellness collection. I really enjoyed the Care 2 article about cats and aroma therapy and had a question. Will the aroma from boiling cinnamon and cloves on the stove harm my cat? I always recommend giving your cats and dogs and escape route so that if it is too strong for them they can leave the area and if opening a window for goof ventilation would be very important as cinnamon is very strong. I once spilled a tiny bit on my dining room table and it ate a whole in the wood so just be very careful. Everything is much strong for our dogs and cats than it is for us and they need to be able to get far away from it. Simmering it with the cloves makes it even stronger so I suggest not doing this for very long with companion animals in the house and even young children. Hope this helps.